Catholics & Protestants: Do the differences still matter? Dr. James White examines key issues regarding the Christian life and the Gospel itself. Catholics & Protestants—Do the Differences Still Matter? More than at any other time in the past, Roman Catholics & evangelicals are working together. They are standing shoulder to shoulder against social evils. They are joining across denominational boundaries in renewal movements. And many evangelicals are finding the history, tradition, and grandeur of the Roman Catholic Church appealing. This newfound rapport has caused many evangelical leaders and laypeople to question the age-old disagreements that have divided Protestants and Catholics: Aren't we all saying the same thing in different language? 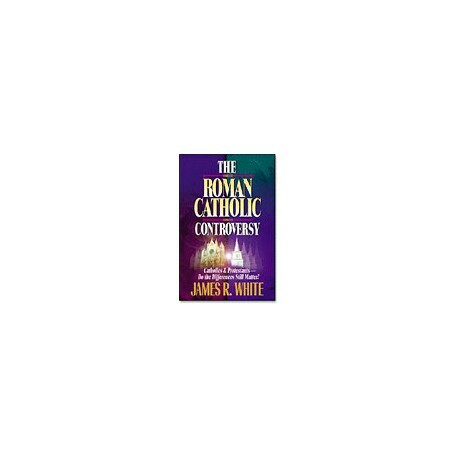 The Roman Catholic Controversy is an absorbing look at current views of tradition and Scripture, the Papacy, the Mass, Purgatory, indulgences, and Marian doctrine. James White affirms that evangelicals and Catholics share common ground on some points. Yet there are crucial differences that remain regarding the Christian life—and the heart of the Gospel itself—that cannot be ignored.